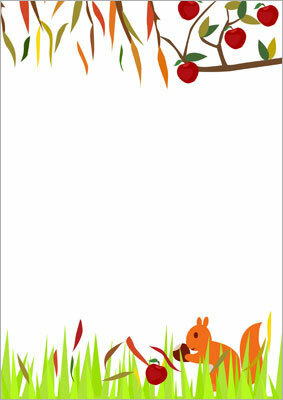 Microsoft Word version of our Autumn notepaper. Ideal for typing seasonal songs, poems, notices. Alternatively you could could simply print them as they are and leave in your mark making area. This is part of a series of seasonal notepaper designed to inspire children to think about the features that are particular to each season, when they are drawing or writing. Please note that the images are placed within the headers and footers of the Word document. They may appear a little faint on the screen however they should print as normal.